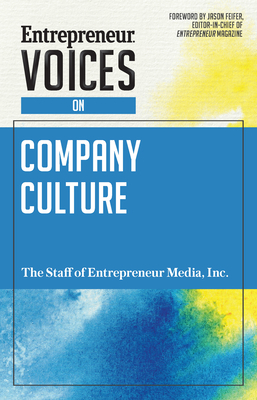 With this culture-focused edition of the Entrepreneur Voices series, the staff of Entrepreneur provides an exclusive compilation of editorial articles, advice from entrepreneurs, and reflections and various culture styles, insights and tactics. From defining your company culture to learning how to motivate your team to reach your company's vision, this composition dissects the skills and strategies necessary to develop your company's culture at every level. For more than 30 years, Entrepreneur Media, Inc. has set the course for success for millions of entrepreneurs and small business owners. We'll teach you the secrets of the winners and give you exactly what you need to lay the groundwork for success.